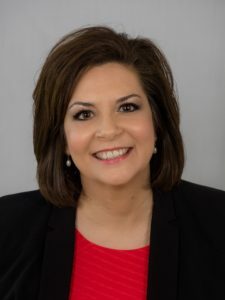 Round Rock – Long-time community service professional Cynthia Flores today formally announced her candidacy for the Republican nomination in Texas House District 52 to replace Rep. Larry Gonzales, who recently announced his retirement. “I have made a life of public service, serving individuals with disabilities and families with special needs. Today, I work in a faith-based organization that provides food, shelter, clothing, and care to those having difficulty making ends meet,” said Flores. “I feel called to be a voice for House District 52 to advance conservative principles. “I am a pro-life advocate committed to protecting life from conception to natural death, and voting the conservative values of District 52,” said Flores. “I will support stronger schools, greater accountability with our tax dollars, law and order on our border and across Texas, and making sure we have an economic environment conducive to job creation. Cynthia began serving the Round Rock community as a volunteer at the Round Rock Area Serving Center (RRASC), a local food pantry serving Round Rock, Hutto and other areas of southern Williamson County. In 2007, she became the 2nd employee of RRASC, serving as a case manager. She now also coordinates the social service programs for the non-profit which include a coat distribution project, Keep Round Rock Warm, Computers for Kids, Community Gardens, Financial Literacy, adult computer classes, and financial assistance for rent, utilities, prescriptions, temporary lodging, and transportation. They currently assist an average of 1,100 families each month. Cynthia was appointed by Governor Greg Abbott in November, 2015 to serve on the Board of the Brazos River Authority. Today, she participates on the Executive Compensation and Evaluation Committee. Cynthia presently serves as the Events Chair, and assists in organizing the events for the Round Rock Chamber of Commerce. She has also participated in the Chamber’s Workforce Launch programs, placing student interns with employers and bridging the gaps between employers and veterans. Cynthia served for two years on the Round Rock Chamber’s Board of Directors. In 2008, she graduated from the Leadership Round Rock program and for the past 3 years has assisted on the planning committee for the Leadership program as Community Service Day Chair. (Past ) Member of the Board of Director for Footprints Children’s Grief Ministries, a program assisting children through the loss of a family member, friend, or significant other, reminding them, “…you are not alone”. Cynthia graduated from the University of North Texas with a BS degree from the School of Community Service, Rehabilitation Studies. On December 1, 2017, she will be celebrating her 27-year anniversary to her husband, Rene, who was elected to the Round Rock City Council in 2016. They have 2 children – Cecelia, a senior Nursing major at Tarleton State University, and John Richard, a sophomore Business major at Texas A&M University in College Station. St. William Catholic Church has been their parish family for 19 years. Political Ad Paid for by the Cynthia Flores Campaign.